A new tool to help New Hampshire homeowners find out if they are overpaying their property taxes has been launched by two Concord attorneys. Developed by Paul J. Alfano and Elizabeth J. Nolin of Allobar Strategies in Concord, the online tool, RETaxRefund.com went live on Nov. 23. 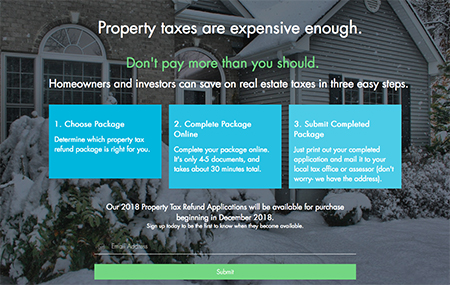 RETaxRefund.com offers a free website tool for finding out if residential property owners are overpaying for property taxes. If they are, visitors can purchase a $99 tool to apply for a refund or abatement. The program developed by Alfano and Nolin is designed to help residential taxpayers request, and obtain, a real estate tax refund. Nolin said she took a year off from her law practice to develop the tool. “As an attorney, I’ve experienced the frustration of seeking an abatement. It is just a tax refund, like an income tax refund, and doesn’t have to be intimidating or expensive. This website can help a lot of people and that is why we created it,” Nolin said. More information is available at RETaxRefund.com.